2 years & up. 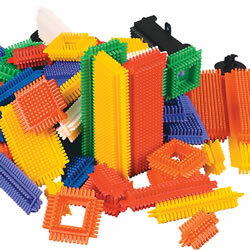 Add a new dimension to manipulative play with this 96 piece set. 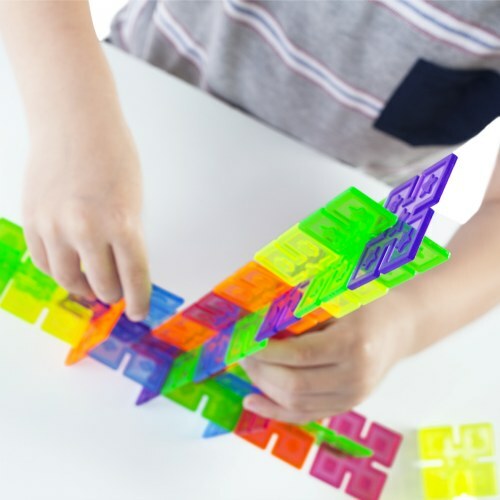 Simply clip the edges together to create an unlimited array of constructions. Build people, buildings, animals and more. Explore symmetry versus asymmetry, discover color combinations. 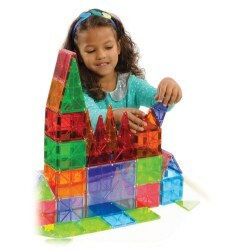 Strengthens disign, structure and balance skills. Enhance the designs by creating them on top of a light table. I utilize these to assist in behavior modification. I love the fact that Kaplan offers so many options of manipulatives. Our children are 'Winning' with Kaplan items. my daycare children love using this product on the light table. The colors are bright and colorful. 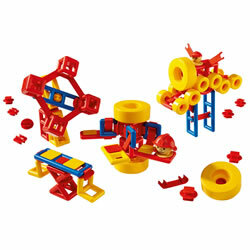 The pieces are easy to handle and easy to put together and take apart.